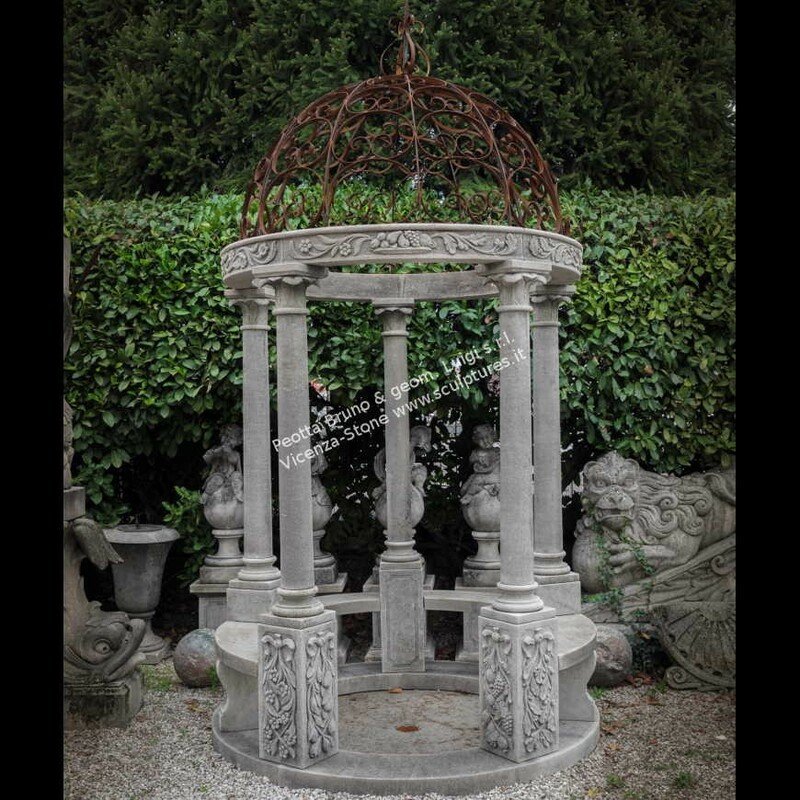 Handcarved stone Gazebo with arches and pilasters decorated. 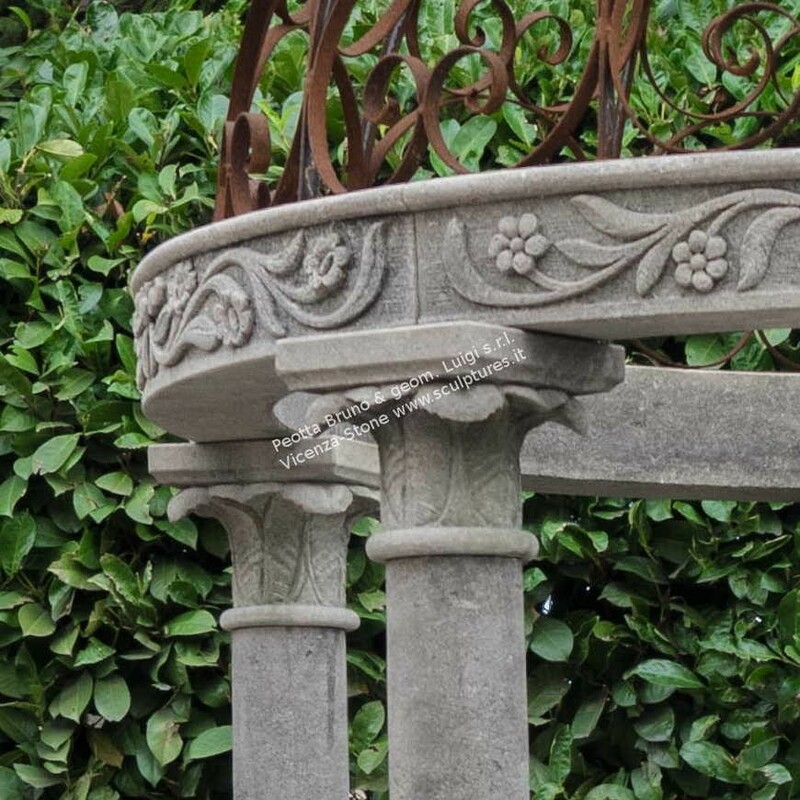 Four seasons motif on arches. 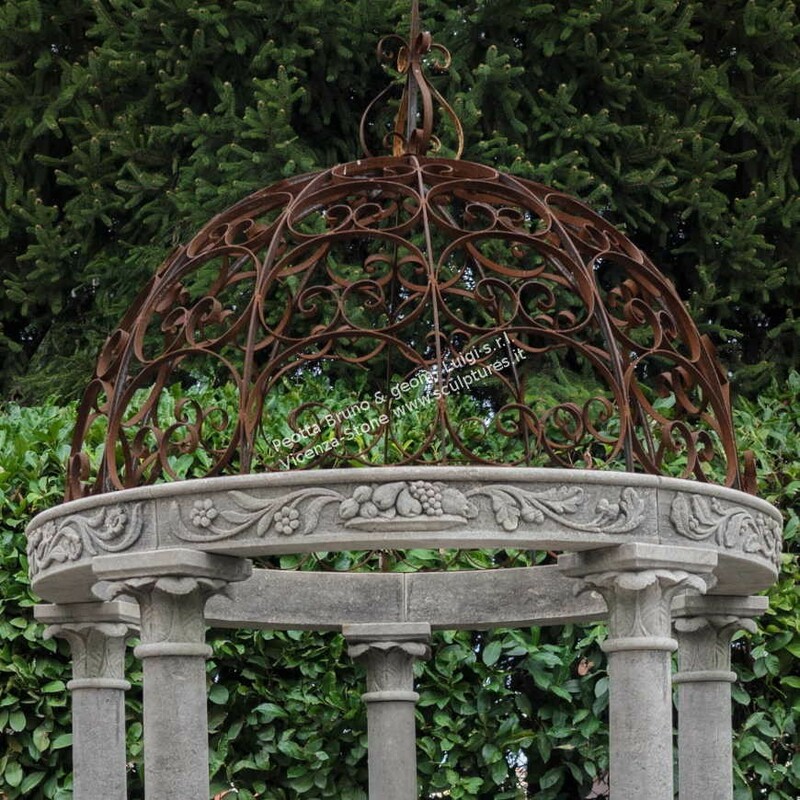 Hand made iron cupola in rust finiture. 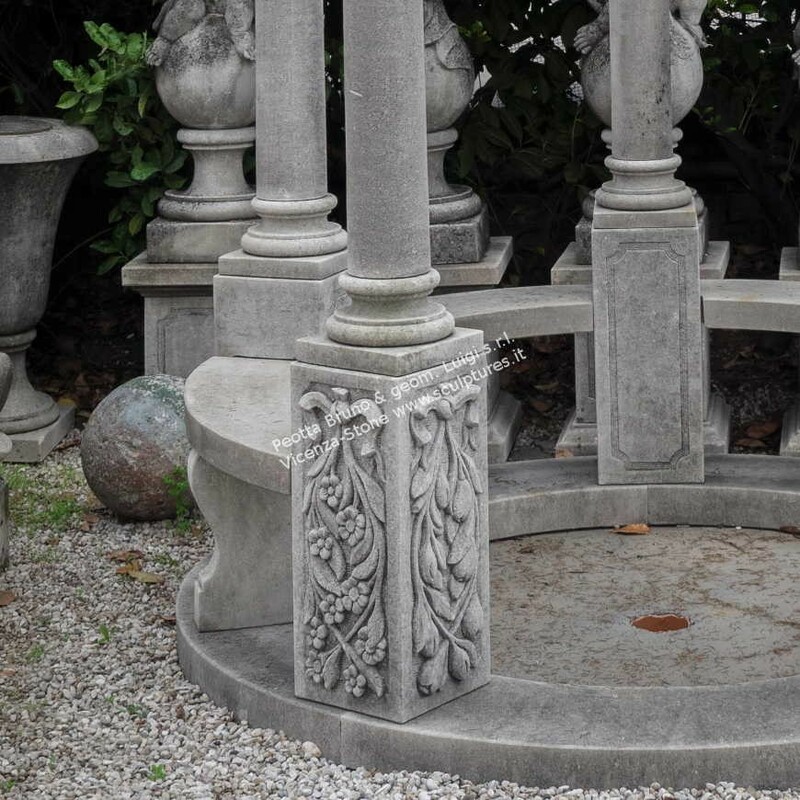 Typical italian garden temple with 5 columns and benches all around.